Mr. Big is recently obsessed with one of the food shows of Luke Nguyen, a Vietnamese chef who was born in Thailand, grew up in Australia, and traveled throughout Vietnam to demonstrate all kinds of Vietnamese cuisines on the streets or little food stands. 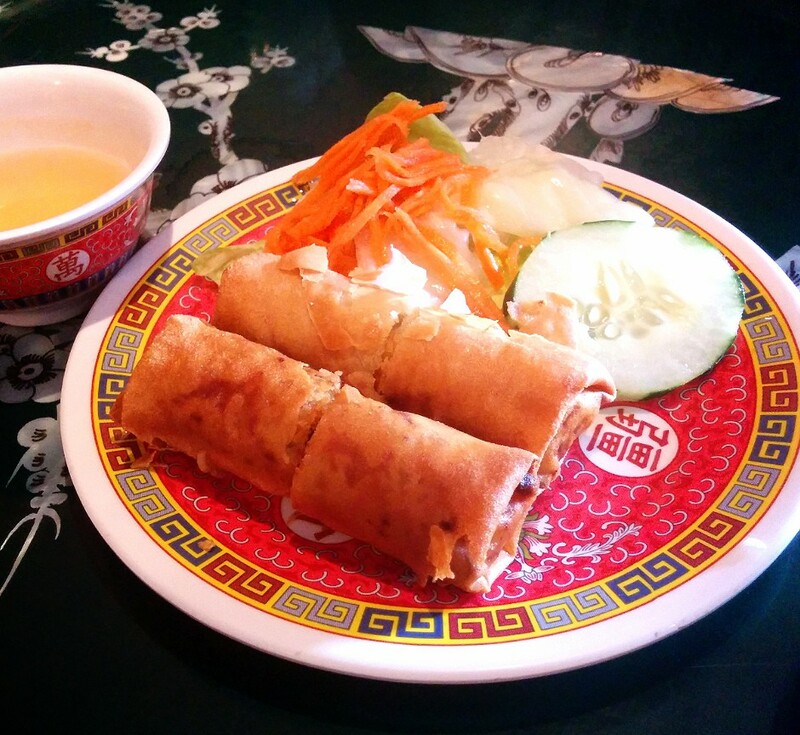 After watching a couple shows, we both have strong craves for Vietnamese dishes. 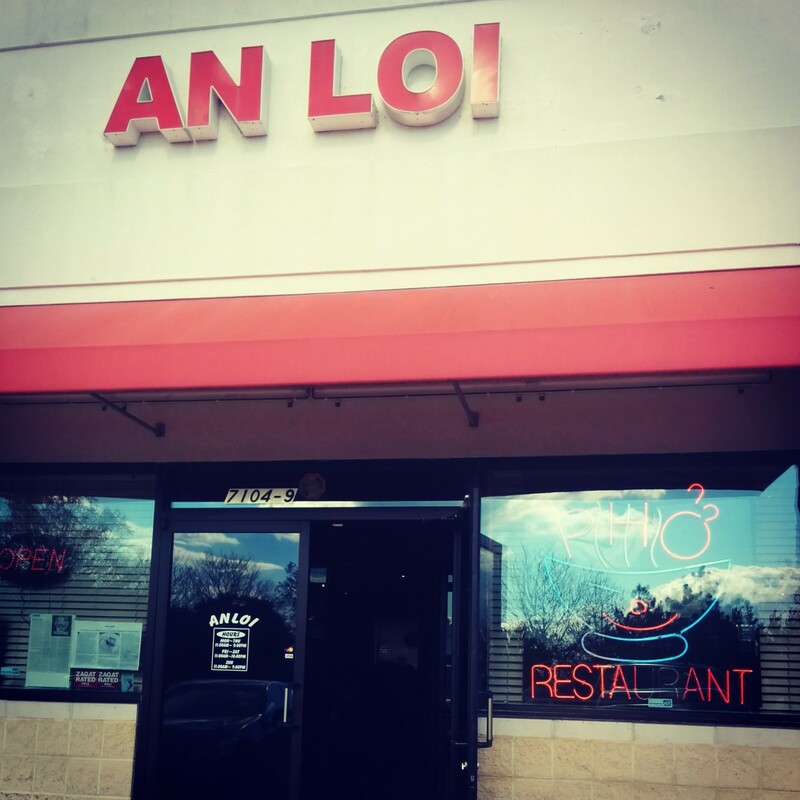 🙂 AN LOI is one of the Vietnamese restaurants in our area that has higher ratings and I read some reviews mentioned its broth doesn’t have strong MSG taste. Why not give it a try? I’m not a big fan of the Vietnamese summer roll personally. I never understand the combination of rice noodle skin wrap with more rice noodles in the rolls which presents a very starchy texture, but I would love to try out their deep fried spring rolls as appetizer. I don’t recommend this dish…. It is crispy. And that’s it. I can’t really tell what the stuffing is and the ground pork-ish filling has a very slight rancid odor which turns the whole dish off to me. I’m glad at least the pho didn’t let me down completely. The broth, the soul of a bowl of beef noodle soup, is clear, not too salty, but flavorful. I would say I can still taste a little MSG in there. However, it is within the acceptable range unlike some other places. 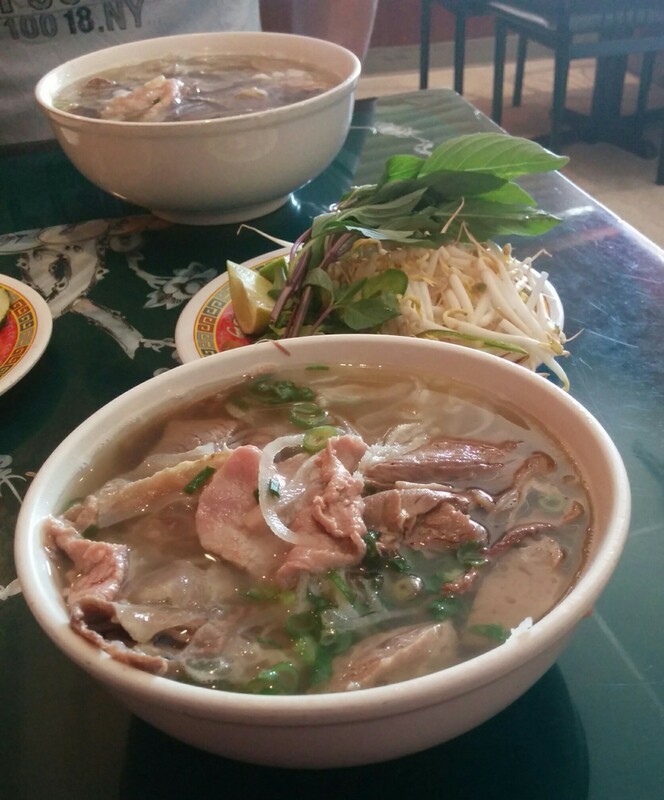 Next time, if there is a next time, I would just have a bowl of pho without the beef balls and no appetizers. Next Next post: [Richmond, VA] Buz and Ned’s real barbecue 肉食者的天堂- 大塊肋排，啃阿!